Square's Final Fantasy IV PSP collection has been unveiled with new screens and a trailer, and it's beautiful. I was fairly excited by Square Enix's announcement that it would be putting out an upgraded collection of Final Fantasy IV and Final Fantasy IV: The After Years on PSP, and recent screens have only made the time until its release move slower. 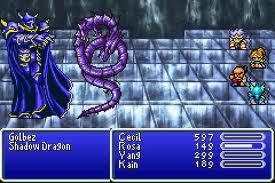 Unlike the title's DS remake, Final Fantasy IV: Complete Collection will go back to the 2D of the original and shine it up to a gorgeous degree. It was great to see the game in 3D on the DS, but the DS's capabilities made everything a little too blocky for my tastes. 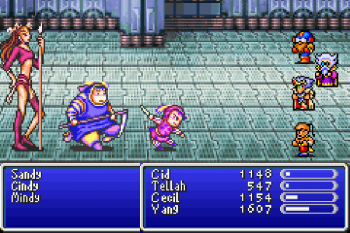 Complete Collection makes Final Fantasy IV's character sprites look somewhat cartoony, but it takes the 2D boss sprites to another level. 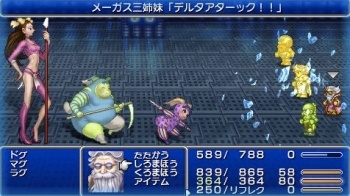 For example, compare the images of the GBA version of Final Fantasy IV (the most recent 2D visual upgrade) with the upcoming PSP version below. Big difference eh? 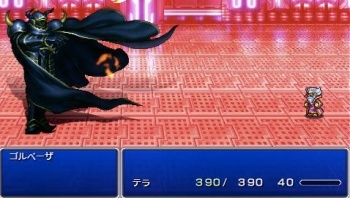 In addition to having its visuals remastered for the PSP's screen, Final Fantasy IV: Complete Collection will also add CGI scenes like those seen in Final Fantasy IV DS, a gallery mode, and a new scenario that bridges Final Fantasy IV and The After Years being supervised by Takashi Tokita, a designer on Final Fantasy IV and the producer on The After Years. Maybe I'm looking at these new screens through rose-tinted glasses, but they make it seem worthwhile to play the nearly 20-year-old Final Fantasy IV one more time. Which in turn makes me believe that if Square Enix ever remade Final Fantasy IV through Final Fantasy IX on current generation systems, it'd be the most incredible thing ever. And I don't mean with LittleBigPlanet 2. Final Fantasy IV: Complete Collection has only been announced for Japan. It'll be out in spring 2011.